Ustazi | What to Do During Your Winter Break?. What to Do During Your Winter Break? As the semester nears to an end, students all around the world rejoice for their winter break is about to begin. Plans for the break vary from sleeping to watching TV to hanging out with friends and maybe traveling. However, after getting those necessary couple of days rest, students might find themselves bored and in need of something to do. We have gathered some suggestions for you to resort to once you find yourself in that situation. There are many places in Jordan that open up their doors for young students to volunteer and help. This chance will not only fill up your free time with something valuable but will also help you grow as a person and increase your experience for the future. The winter break is always a good time for you to pick up that one thing you feel passionate about but never get to do because of school work. Signing up for creative classes and workshops such as painting, cooking or photography will provide you with a place to focus your creativity on and further develop your skills. You can also find tutorials on YouTube or online classes that will help you learn something new from the comfort of your home. Reading is never fun at school, there are always assignments exams that go along with it. But during the break you will be able to choose the books you love and delve into them, this will boost your memory skills, imagination and improve your language. Holidays are usually dedicated to sleep and rest, but why not do something different this break that will help improve your health and make use of your time. There are many options to choose from; you can go running around the neighborhood in the morning or early in the evening, you can also find exercises online to practice at home or find the nearest sports club to your house, schools are usually turned into sports camps during the break. If you are looking for a group activity you can always book a sports field and go for a friendly game of football or basketball with your friends. It might be difficult for you to find time to spend with your family during your school days, so you must take advantage of that special time you have together. You can always find a fun activity such as playing boardgames, a game of cards or a nice movie to watch. 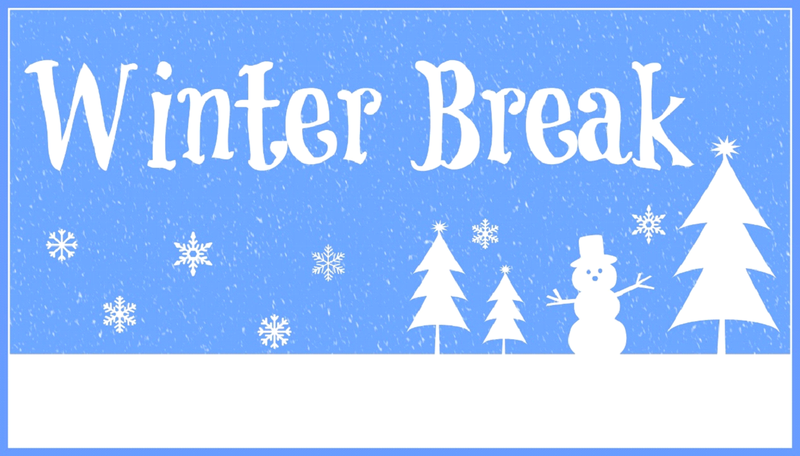 Let us know how you plan on spending your break!